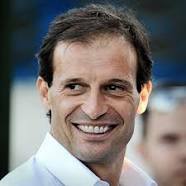 Juventus are not scoring enough goals considering the number of chances they create, coach Massimiliano Allegri said on Friday. The Serie A leaders have 25 points from nine games, four points clear of Napoli, and are the top scorers in the league with 19 goals, but Allegri said there was still a lot to improve on, especially after they dropped their first points in a 1-1 draw with Genoa last Saturday. “We are coming from a wonderful win against Manchester United but also a draw against Genoa in the league,” said Allegri, whose side won 1-0 at Old Trafford in the Champions League on Tuesday. He also warned that Empoli, 18th in the 20-team league with six points, were more dangerous than their lowly position suggested. Allegri said he saw no need to rest Cristiano Ronaldo, and confirmed the 33-year-old will start at Empoli. “He is in good shape and will play tomorrow. We’ll see if he needs to rest further down the line,” he said. Ronaldo has started every Juventus game this season except a Champions League match at home to Young Boys when he was suspended, although he has been rested by Portugal since the summer by mutual agreement..